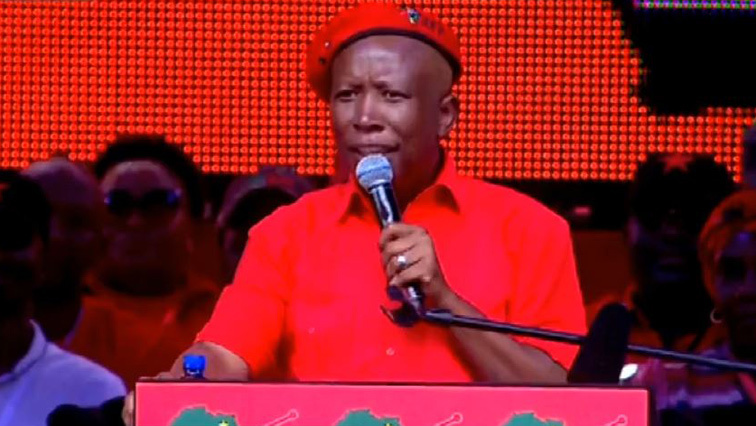 Economic Freedom Fighters (EFF) leader Julius Malema has urged party supporters not to engage in xenophobic attacks against foreign nationals. He addressed hundreds of supporters during the Eastern Cape election manifesto launch at the Walter Sisulu University stadium in Mthatha on Saturday. Malema warned South Africans who accuse foreigners of committing crimes not to take the law into their own hands. He says we are all Africans and must love one another, showing love to those who come from Mozambique, showing love those who come from Guinea, Egypt and Nigeria. The EFF holds two seats in the Eastern Cape Legislature while its holds eight seats in the Buffalo City Metro and six in the Nelson Mandela Bay metro. The post EFF supporters urged not to engage in xenophobic attacks appeared first on SABC News – Breaking news, special reports, world, business, sport coverage of all South African current events. Africa's news leader..